Renault has joined hands with Bajaj Auto limited few years back for the joint development of the ULC or the Ultra Low Cost car which was to compete with Tata Nano in India. The ULC never came out to be a successful product after long time of Development at Bajaj Auto facilities, but the results were not satisfactory enough for Renault as per their standards, so the joint Renault-Bajaj Alliance almost came to a stand still. But as per recent reports from a French newspaper, Renault has decided to go ahead with the development of the ULC car for India, China and Brazil. The car will cost close to Rs. 2 Lakh and will take approximately 3 to 4 years before going into production. The car will most likely be developed in house by Renault. The low cost car in the price range of Rs. 2 Lakh makes a lot of sense for markets like India as Alto is the best seller car in India which is priced close to Rs. 2.5 lakhs. The Nano which starts around Rs. 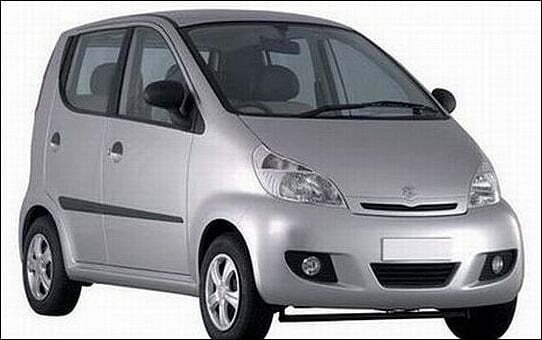 1.4 Lakhs is also getting popular gradually specially the Tata Nano 2012 which has been introduced recently with improved interiors and exteriors is getting a lot of praise. If the ULC by Renault is developed and positioned properly in this segment, it can create high sales volume for Renault in India. The same car will also be introduced in China and Brazil which have similar car markets as India. It will take a lot of time before the real picture or details of this car emerges, but it will be very interesting to see how it shapes up. To get latest updates, stay tuned to us by liking our official Facebook Page and sign up for our free email newsletter.